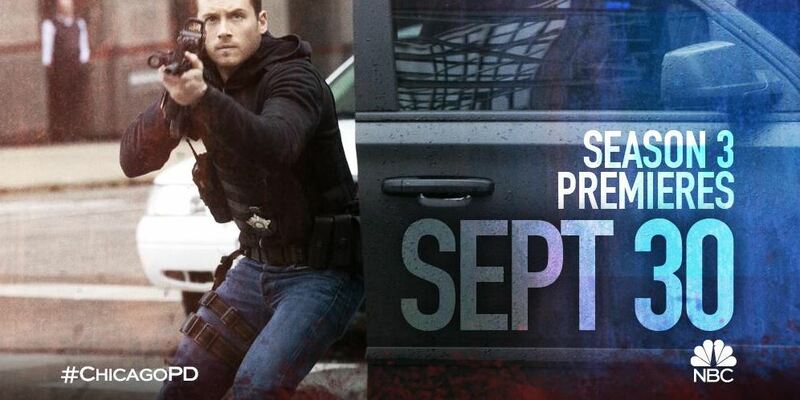 Other than the preview of Chicago Fire, the First Look for Chicago PD Season 3 is much shorter. I don’t know why they did it differently for both shows, but 30 seconds is better than nothing. Lindsay’s mom will appear a couple more times now to spend time (drinking) with her daughter. I do not approve of that, Erin needs to get back on track and not disappoint Jay and Voight any further. She’ll have to prove herself to the team and for the beginning, let’s just say there won’t be any romantic Linstead happenings. Speaking of Voight though, he’ll have to face some of the things he did in the past when a convict gets out early due to a mistake he made. The realisation of how dirty a cop he was mixed with some self-loathing will probably be the result of that. There is not much else to be found, since as always, the focus is mainly on Lindsay. BUT I personally expect to see some wedding planning for Burzek and Antonio working at his new boxing club. And I just want my Halstead to be okay, because that promo waws scary. That’s what I hope to see! So, who else can’t wait for September 30? It’s less than a month away and I am so happy to have the show back!!! I don’t know. The promo was very Lindsay/Halstead focused. But I mean that’s just the promo for the first episode. It definitely starts off with a bang! From what I read it seems like she’ll get back on the force but continue to struggle. What she did wasn’t cool and she’ll need to prove herself to everyone. I think her mom is a bad influence and she’ll have to get sober/clean again. It won’t be easy but she will realize that she’s really good at being a cop and that she needs it. i agree… I just hope that she doesn’t have to get more “down” to finally start pulling up, you know? Yeah, I know what you mean. But I think it’s a good start to see her wanting to help out Halstead. That means that all hope is lost.